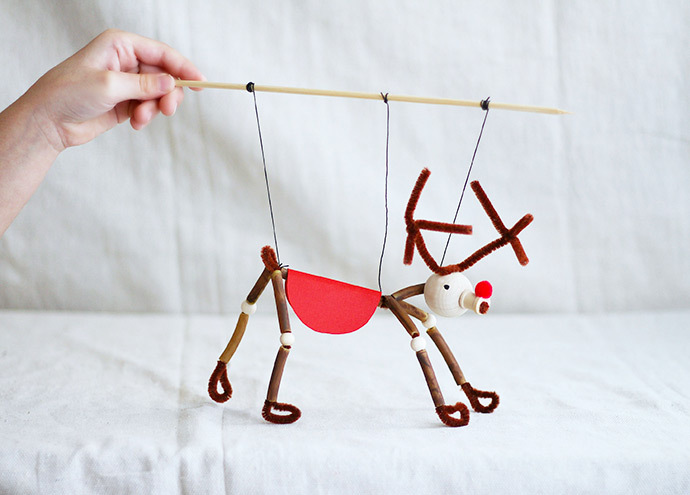 In today’s post, we’re sharing the final part of our pasta puppets series: Rudolph the red-nosed reindeer! If you missed the earlier videos, go see the elf and Santa posts first! 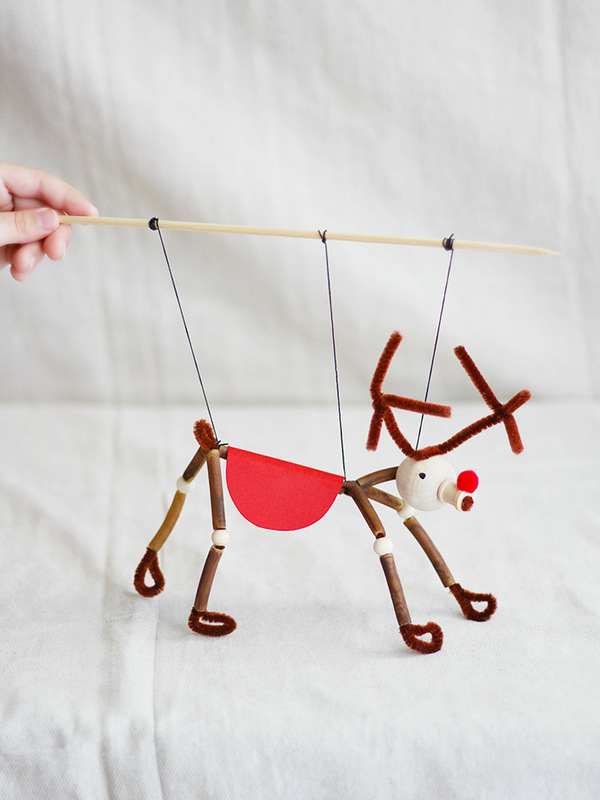 Rudolph is ready to play reindeer games and dance the night away – make all three puppets and perform the best puppet show this Christmas! See the whole video, and instructions, below! 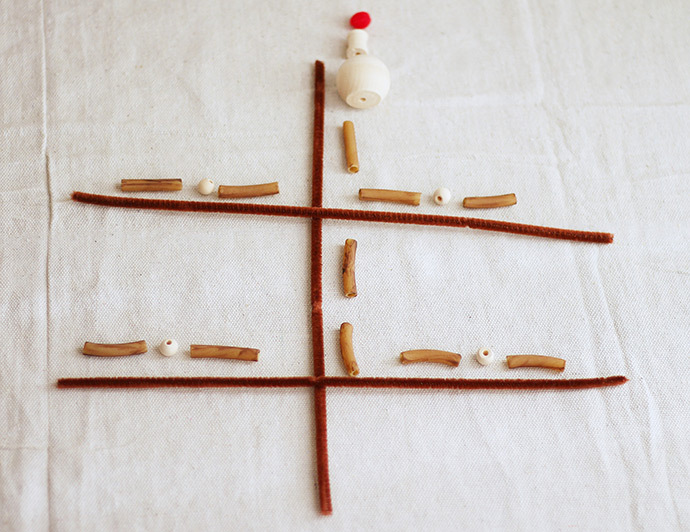 Lay out your pipe cleaners, beads, and painted pasta noodles as shown above. 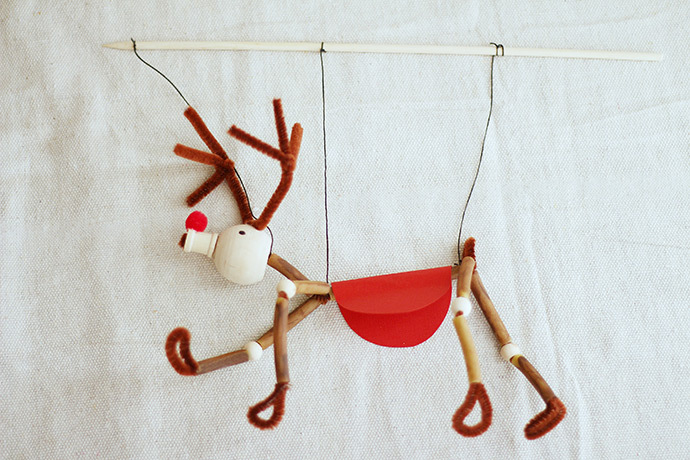 Assemble the reindeer and twist the legs onto the main torso pipe cleaner as shown. 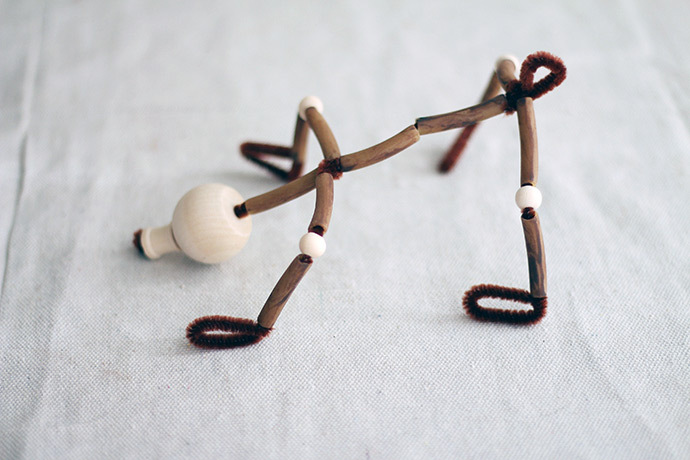 Form loops to be hooves and a tail. 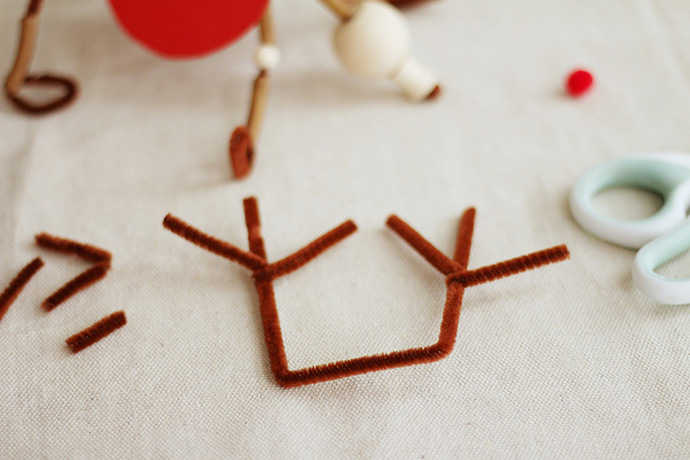 Cut, bend, and glue pipe cleaners into antler shapes. 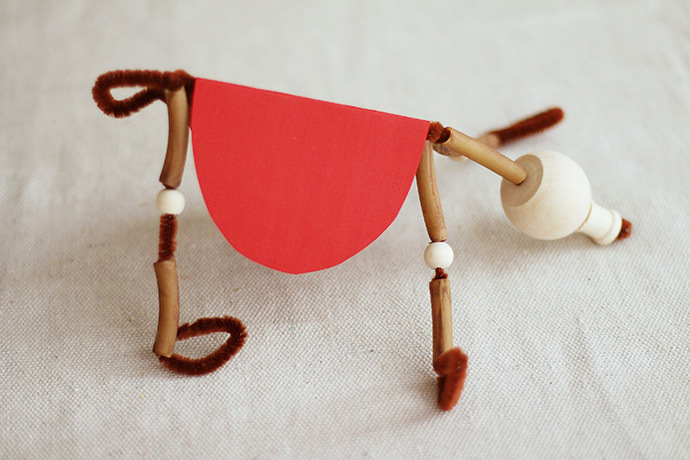 Cut a saddle out of red paper and glue around the reindeer’s torso. 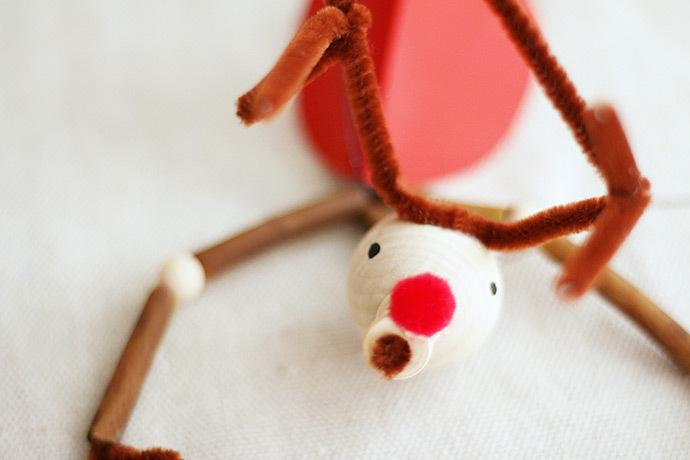 Glue the antlers and pom pom nose onto the wooden bead head and snout. Use a black marker to draw on eyes. 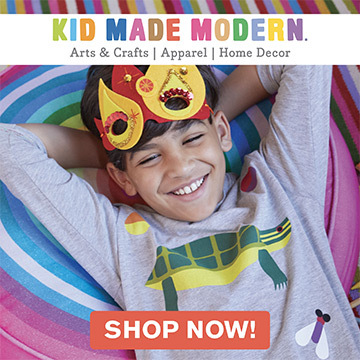 Cut elastic cord and tie from the head and two spots on the torso to a wooden skewer.